Backup, Intrusion Detection, Monitoring, And Much More. SiteGuard is a unique solution covering site monitoring, intrusion detection, offsite backups, and more. Website owners and server administrators alike find themselves faced with some very scary disaster recovery scenarios. Topping this list is website uptime, offsite backups and network intrusions. SiteGuard protects your site and gives you a piece of mind from all of these things and more. SiteGuard will remotely backup your entire site via ftp either nightly, weekly or monthly. 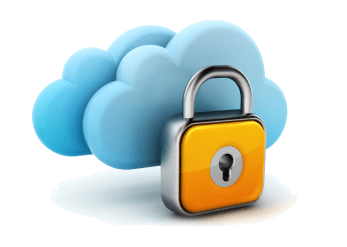 We know that some webhosts allot a certain amount of bandwidth and that the space to store backups can add up, so to save on your bandwidth and expense we only backup files that have been added or changed after the initial backup. SiteGuard can also do a dump and remotely backup your MySQL database and back that up nightly, weekly or monthly. Go back and review what files have changed for any previous backup from the control panel. SiteGuard will alert you if files are added, removed or if files have changed in your site, Protecting you from malware and phishing infections. Why is this important? Here is one webmaster’s account of one of his clients sites hacked, the attacker was hoping the hack would go unnoticed ( http://searchtempo.com/htaccess-redirect-hack-and-google-malicious-code-warning/ ). SiteGuard will help you discover these sort of issues before they become a problem. SiteGuard will check your site nightly against the google safe browsing database. This is the database that most browsers use to determine if your site has been a deemed a phising site or is responsible for infecting users with malware. If your site turns up on this list, we’ll alert you immediately and offer some advice on getting delisted. Get alerts via SMS text message, email or both. Have multiple server administrators or webmasters? No problem! You can add an unlimited number of additional users who get notifications of problems, again via email or SMS text message or both. Offer your clients a piece of mind.